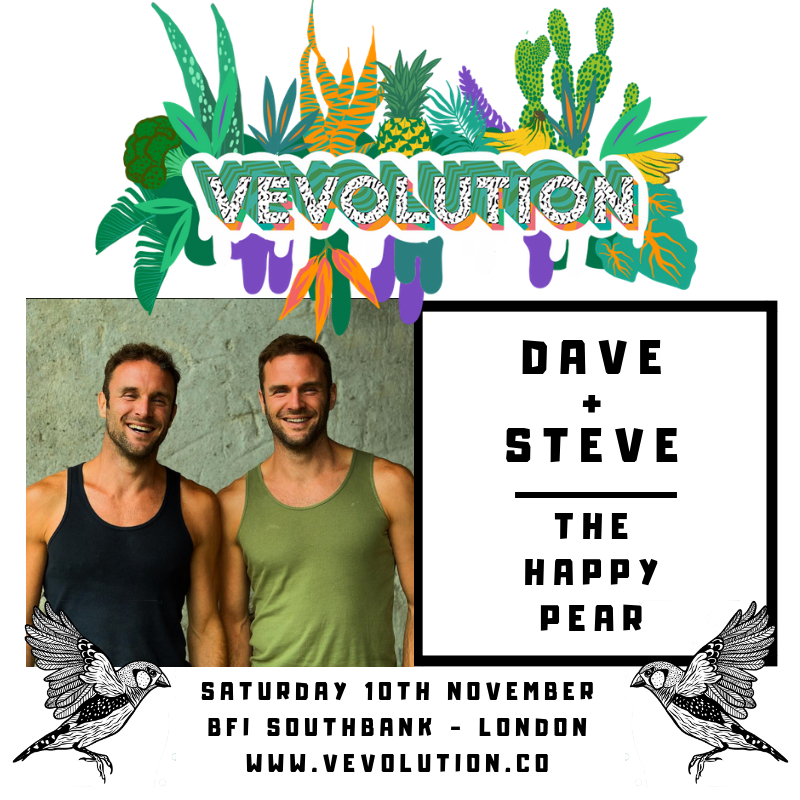 We’re super excited to share the news that Dave and Steve - The Happy Pear are returning to Vevolution Festival 2018 - taking place on the 10th November at the BFI on London’s Southbank. The lads joined us last year and literally lit up the festival with their warmth and enthusiasm. 2018 has been quite the year for The Happy Pear - they have launched into Waitrose with their amazing range of ready meals, pestos and hummus, released a new cookbook and they have seen the Happy Pear brand grow around the world. This year the Happy Pear will be speaking on the main stage sharing their tips for health and happiness with attendees of this years Vevolution Festival. Catch The Happy Pear and other leading lights of the plant-powered movement at Vevolution Festival 2018 on the 10th November at the BFI on London’s Southbank. As well as getting the inspiration you need to go and make a difference in 2019 and beyond - you will receive the legendary Vevolution goodie bag upon arrival. So join us for a huge festival of all things plant-powered this November.